It was overcast and had started to rain, but the pond was still alive with birds, and nearby some of them perched in the reeds. 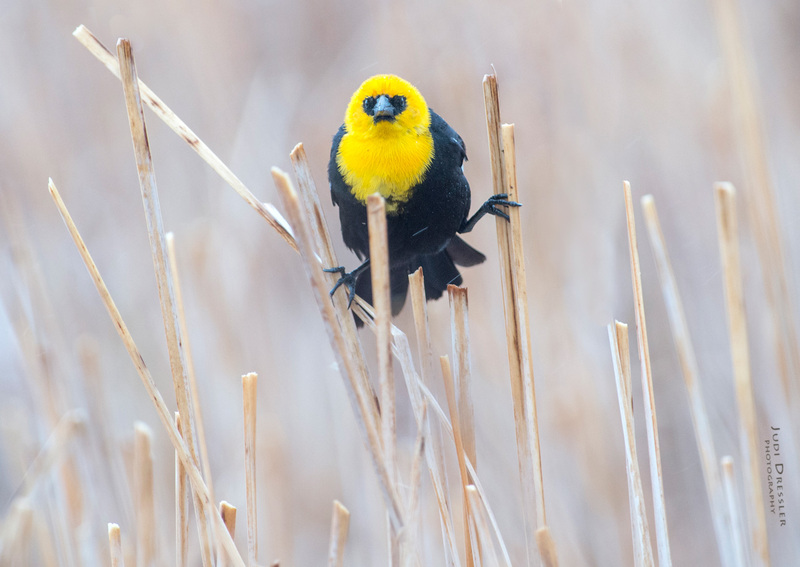 I especially liked this Yellow-headed Blackbird’s pose, as he seems to be doing his yoga exercises! Photo taken on 4/28/2017 near Greeley, Colorado.